I pay utmost attention to the changes in my body, a new mole, sometimes what feels like amnesia, tired than usual, any sign that my body tries to give out as a warning that something is going wrong. Because when it comes to any ailment, we are caught off guard because of lack of awareness. As small children, our parents take utmost care, with frequent doctor visits and once we start growing up and building immunity that amount of care begins to reduce and is restored only after something serious happens, this is how most of us are. There are a few things that even at infancy we neglect. The sign that a baby is alive is its first cry, and along with various tests, basic senses are tested. Even if progress is slow, most of us would consider the child slow or assume has low grasping power, but the truth would be that the poor kid is unable to hear what you are trying to say, maybe the body as a defence mechanism tries to lip read for a little understanding. Measuring your hearing helps to find the type of hearing problem you or your child might have and help your health professional suggest the best treatment options. I recently got the hearing test done, which was easy, quick, painless and most importantly could help you lead a normal life. It’s important to know that most hearing losses get worse over time unlike the common belief that one could probably start hearing over time. The earlier a problem is detected and treated, the greater your chances of preventing further hearing loss – and gaining the best possible results from the right hearing treatment. What we need to remember is that treatment is based on severity and not always does one need a cochlear implant. 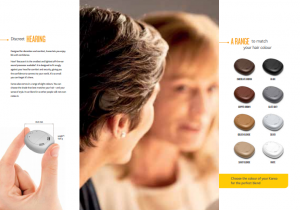 And second is that there is a social stigma associated with hearing aids and implants. Well, this was the case a few years back with spectacles, we have been teased and bullied. We need to rise above this social stigma and let people be. 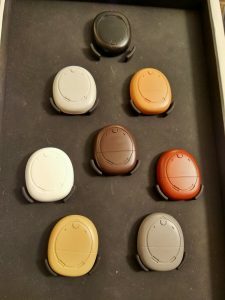 Keeping the comfort of the recipients in mind, Cochlear has come up with its latest product called the Kanso, it is wireless, easy to use and also high quality. As an engineer, its features interest me, because it is smart, discreet, provides better hearing and is also waterproof. Kanso to ears is like how the lens is to the eyes. On 3rd of March which happens to be the World Hearing Day, a few bloggers and their children had the opportunity to get a hearing test done and the event also saw us learning how awareness for checking of hearing ailments was essential. 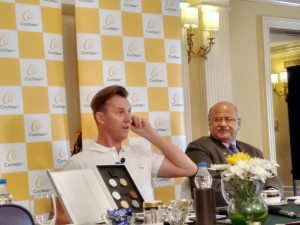 We also had the opportunity to meet the famous Brett Lee, who as the Global Hearing Ambassador for Cochlear India is doing his bit to spread hearing loss awareness. Our country has a deficit of information and awareness despite all the facilities. Here is a video on how cochlear implant works. It is time, we get the hearing test done of infants and also as we age. In short, let’s not wait for long hoping things will get fixed by itself and not ignore the signs the body is giving. Isn’t it s wonderful to see how much Brett is doing for causes in India. When legends come forward to spread awareness the message does percolate down. As parents it’s important to realize there’s no harm in getting your child checked regularly. 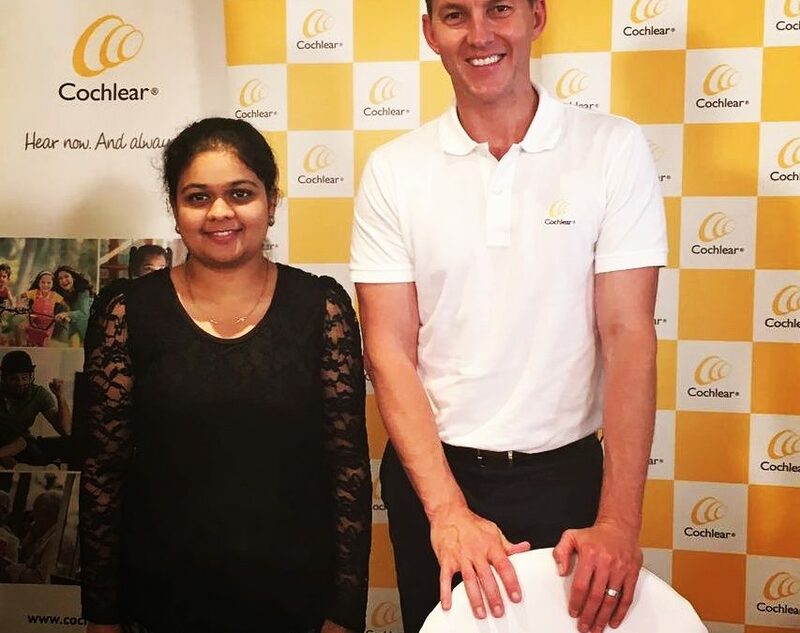 As a doctor, it is heartening to see so much awareness being given to deafness as well showing the public what is presently available (even I was not aware of this)… on the other hand, as a cricket fan, I am insanely jealous of all of you for getting to meet Brett Lee! I agree, let hearing test and screening be mandatory to every newborn every where in the world. Let’s all spread awareness and educate ourselves.